We know that when we engage children personally over time through our warm, sincere, kind and playful interest in them and their activities, we deepen our positive attachment through this attunement to and presence with them, and they are more likely to comply with our directives even if we call to them from across the room to pick up their toys. But why is this so? 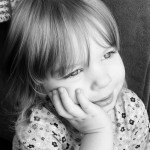 To deepen our insights into why children behave the way they do and increase our psychological literacy overall (it helps with all relationships), it’s worth looking at the underlying dynamics of attachment as they relate to the beginning stages of the most important concept a child will ever develop in her lifetime—her identity schema. In psychology and other fields, the term schema is used to describe a mental concept or template used to organize knowledge. Schemas are dynamic, meaning they develop actively and are self-revising. We all have unlimited schemas that we have developed over time, such as our schema for a house, for budgeting, for an ideal companion, etc. 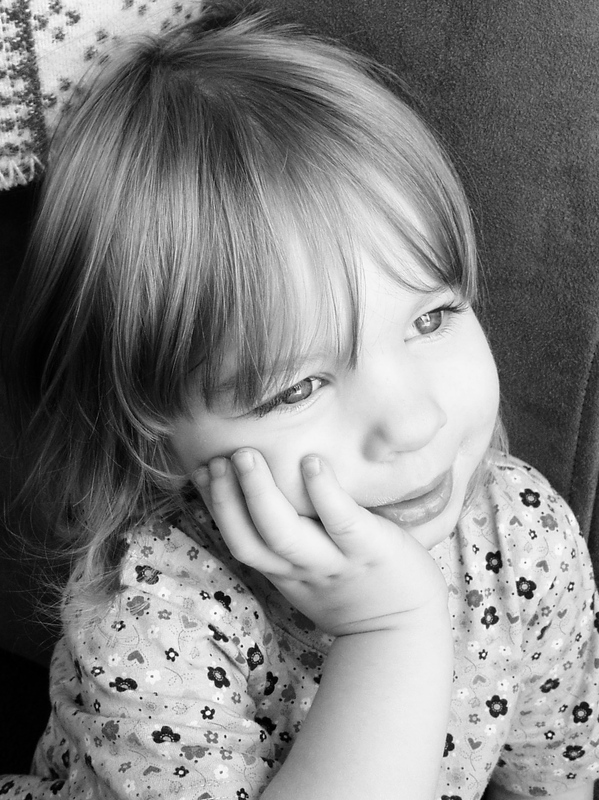 In this discussion, a child’s identity schema refers to her self-concept. A child’s earliest schemas are tightly-woven formative structures for her sense of self and the world at large—for her idea of who she is, how safe the world is, and how the world sees her. As I see it, this tight web of information and experiences the child begins to internalize in early life is the core origin of her identity schema. I am talking about a child’s first impression about herself, about who she believes herself to be. This belief is directly related to her capacities for self-regulation as she grows up and into adulthood. For example, her ability to tolerate strong emotion, focus on and complete tasks, communicate well and engage rewardingly with others hinge on how safe and balanced she feels, which tie back to her self-concept. The first kind of identity schema is made up of emotional imprints, not words, since emotions are preverbal. The thinking here is that we can start to trace the beginning of a child’s identity schema at eight months in utero, when his amygdala begins sensing his mother’s hormone levels. If the mother feels safe and contented, the baby likely will, too. If his mother is in danger or under stress and her cortisol levels are high for extended periods, the baby may experience continued stress, translating to an emotional imprint of being unsafe. Hence, the infant’s first concept of himself may be as feeling unsafe, ergo, “I am unsafe.” This is an awareness that the child won’t be able to recall consciously in later years, yet the emotions are real, and they leave impressions that affect the development of his formative sense of self. In the early months and years of a young child, negative experiences such as poverty, lack of physical or emotional nourishment, and other hardships may validate and reinforce his negative identity schema. This may translate to impressions such as, “People don’t care what I have to say, what I like, what I want. I can’t have what I need. What’s wrong with me? I’m not good. I’m not enough.” He may feel both emotionally unsafe and internally imbalanced. In contrast, when an infant’s needs are taken care of in loving, compassionate and timely ways, he begins to internalize a positive identity schema. The positive emotions he feels by way of his caregivers knowing and meeting his needs relay these truths to him: “My needs are met. I am taken care of. I am valued. The world is safe. I am lovable. I am good.” The implications for a child’s personality, expectations, happiness, social successes and more, based on this initial schema development, are staggering. As he begins to understand words, he also begins to internalize the second kind of identity schema—the cognitive schema for who he is. As he toddles about, the child learns more about himself through labels and the meanings that other people intentionally teach him, such as, “I am a boy. I am a brother. I am a good buttoner. I like painting.” Let’s remember that he acquires both emotional and cognitive schemas by either assuming them or by being directly taught them. Therefore, it is our very important job to be mindful of what identity schemas we teach and children internalize. The choice of attitudes, words, and statements his parents, caregivers, and teachers use with him directly or indirectly affect the messages he internalizes. In a best case scenario, he feels, “I am enough. Life loves me. I am free to be who I am, as I am. I am absolutely cherished.” Once a child feels both safe and balanced, he is capable of self-regulation. And when he is feeling both safe and balanced in his body and in the world—feeling seen, understood, respected, and taken care of—he is much, much more likely to take directives from his caregivers and to decrease behavioral challenges. But nobody’s perfect, and we all do what we can based on the skills and awareness we have at any given time. Increasing our psychological literacy can help us make the most insightful and caring choices as we consider our children’s innermost needs and how to meet them. 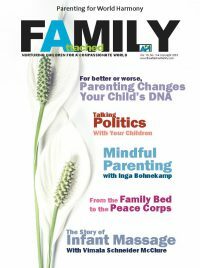 Since our goal is to raise our children to be in “right relationship” with themselves as the prerequisite to being in right relationship with others and the world, focusing on their earliest schema development, particularly their identity schema, puts them on the right track for all kinds of successes over the course of their childhood and adult life. Shame on you for placing all the blame upon the parents! There is so much more to how and why children have behavioral challenges, including a child’s natural temperament and medical reasons. Parents of children with special needs already blame themselves (and others blame them as well) for their child’s behavior. Thanks for nothing. There are indeed many reasons why children cannot self-regulate, and although this article doesn’t cover that broad topic, I’m glad for the chance to clarify. We’re talking about the development of a child’s identity schema, and are not excluding any child from this occurrence, though we do assume that children with certain medical issues, or other hardships and challenges will not be able to express the typical list of self-regulated behaviors. We employ our ongoing insights to help every child feel cherished and totally accepted, and doesn’t every child have the capacity to feel this? To know that their value is unequated to their situation, their body, their behavior? We used examples of maternal stress and poverty to illustrate how a child might begin experiencing an unhealthy self-concept when left unchallenged by us; however, it’s the same concept no matter the circumstances of the child’s life. So whether a child has brilliant health, a severe medical condition or fiesty temperament, whether they live in extreme wealth, poverty or anywhere in between, with or without the most well-meaning caregivers (no judgement), all children will experience emotions and attitudes, and/or hear statements about themselves and their world which inform how they feel about themselves. I think it’s a very beautiful vision to consider the potential that even the most challenged children can feel absolutely cherished and know themselves as goodness itself to great degree because we understand and utilize this concept. In gaining insight into how powerful these early impressions are (and there is no blame or shame here) we as caregivers are better informed to understand our own significance in this identity schema development. There is so much to this topic and it would take pages to distill every offshoot dynamic, thought, and question, but for now my main response is to show that we’re simply bringing light to these dynamics to keep us in awareness of how we can be better sleuths and loving co-architects of our children’s all-important self concept. Very intelligent, insightful, and from my personal experiences as a parent accurate. Nice work Denise! Happy, Healthy, Blessed 2014 to us all. Thank you, Susan and John.